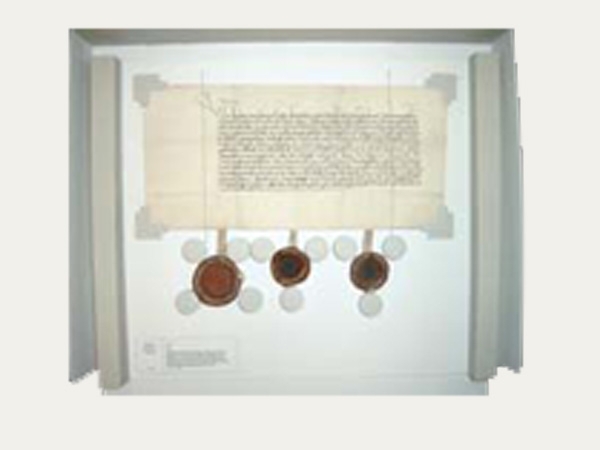 In general certificate documents with attached pendant type seals are stored in the folded condition, but very often one also finds them stored in the unfolded state, see for example the pictures on the left. The main advantage due to this type of storage is that the documents can be handled very gently and cautiously thsu enabling the best kind of protection for the seals. 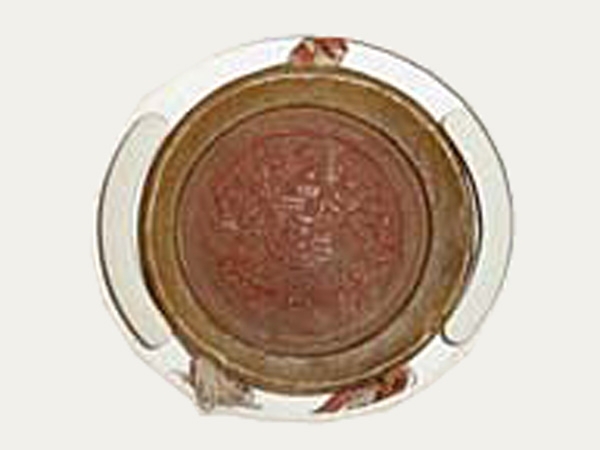 Constructions similar to those of tray forms have also proven very suitable. Manufactured from a single sheet of corrugated board with a laterally attached rectangular or square shaped profile, this storage and archiving method is very stable and enables the legal document to be handled without the usage of pressure. Appending seals can be affixed by the attachment of laterally placed circular segments or other small segments, such as points or angles. 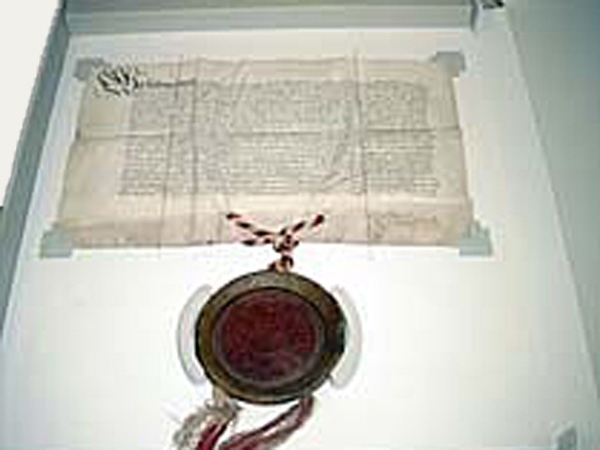 The document itself can be mounted together by using two elbow-fitting pieces that are stuck staggered in an offset manor above each other. Particularly fragile and delicate objects can be additionally protected using a mylar foil, which is inserted in the slits on either side of the lateral hollow profile.